Take Care of Your Pet’s Heart by Taking Care of Their Teeth! Heart disease impacts all sorts of animals, from cockatoos and cats to ferrets and dogs, and the reasons animals develop the disease often mirror the reasons that lead to the heart disease in humans. Just as in humans, many diseases are preventable. You might be surprised to learn that one of the highest risk factors for heart disease is dental disease. Dental diseases is caused by tartar and bacteria that build up along the gum line, which leads to inflammation (swelling). The body responds to inflammation by sending white blood cells to the affected area. The blood vessels that carry white blood cells to the inflamed gums can inadvertently carry bacteria from the gums throughout the bloodstream and other parts of the body. Bacteria can build up in places where blood slows down and collects, which includes the hearts valves and cause endocarditis, which is an infection in the heart chambers and valves. Endocarditis can cause leaky valves, which makes the heart pump blood inefficiently. When the heart has to work harder to pump blood, over time blood can “back up” in the circulatory system and other serious complications can happen. The good news is that all this can be prevented with good dental hygiene!. 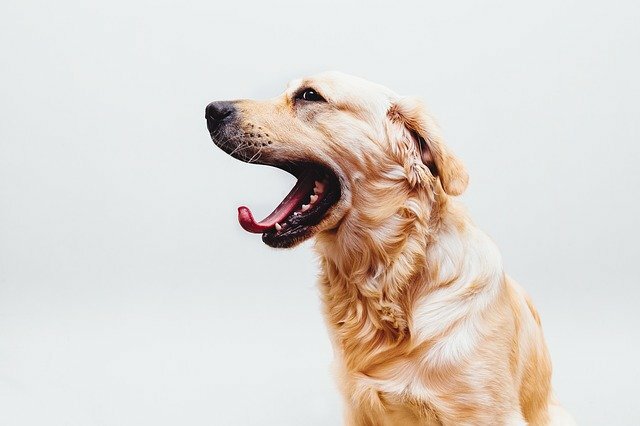 Help your pet stay healthy and prevent heart disease by brushing your pet’s teeth, giving enzymatic dental chews, and having professional cleaning by your veterinarian completed on a regular basis! Call CEDARCREST Animal Clinic at 540-943-7577 today to schedule a dental checkup! CEDARCREST Animal Clinic provides medical and surgical care for every stage of your pet's life including preventive wellness care exams and vaccines, spays/neuters, and a variety of specialized care for your dog, cat, avian, or exotic. We are home to the only veterinarian practitioner in Virginia to be double Boarded in Avian and Canine/Feline care and provide care for birds, small mammals, and reptiles of all sorts! Plus, we are home to Virginia's most exclusive dog boarding resort that includes heated floors, an expansive play area, and even webcams so you can watch your pet while you're away. We're located in Fishersville, Virginia, and serve Augusta County and surrounding areas including Waynesboro, Staunton, Harrisonburg, and Charlottesville. Should I Feed My Pet Wet or Dry Food? Dogs And Cats Can Suffer From Diabetes, Too. Should I Clone My Pet? Understanding your pet's nutrition, behavior, and individual needs are important to happy and healthy lifes.